Pergolas are a fantastic addition to make your beautiful garden transform into a sitting area, passageway or shaded walkway – enhancing aesthetics and value of your home. Outdoor pergola designs may range of flat roof structures to steel pergola designs, gabled roof, open type pergolas and pitched pergolas. 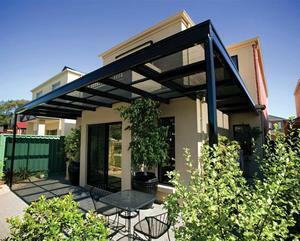 Modern Solutions is a master builder, with years of experience in building amazing pergola designs. Get 3D visualization of your pergola and have an idea of its look & feel. For expert consultation, call Modern Solutions on 0403-168-727 today.